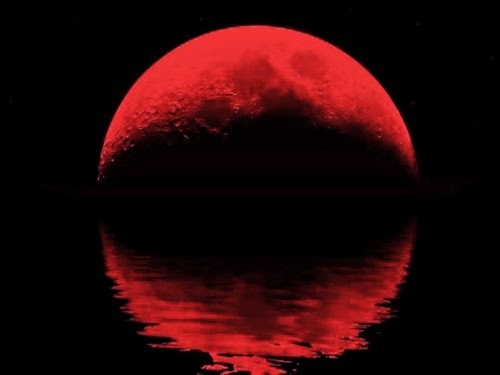 During the overnight hours of April 14-15, skygazers there will have a front-row seat as the full moon is painted red, creating what many call a "blood moon," as Earth's shadow creeps across the lunar disk. During a full lunar eclipse, the moon passes behind our planet so that Earth blocks the sun's rays from striking the moon. Due to the moon's tilted orbit around the Earth, this doesn't occur every month; instead, it usually happens once every few years, though there are sometimes more than one in a year. Why does the moon turn orange-red during a lunar eclipse? 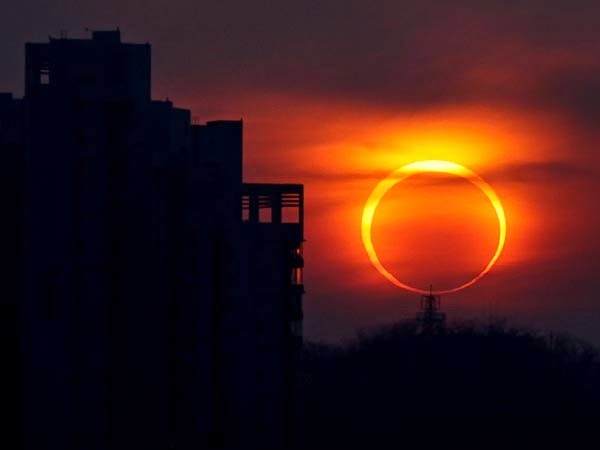 During an eclipse, sunlight shining through the ring of Earth's dusty atmosphere is bent, or refracted, toward the red part of the spectrum and cast onto the moon's surface. As a result, expect to see the lunar disk go from a dark gray color during the partial phase of the eclipse to a reddish-orange color during totality. The same effect is at work when the sun turns red at sunset. DETROIT HAD THE COOLEST TV SHOWS IN THE 1960S! WILL MY FRIEND'S DNA FINALLY DISCOVER THE OAKLAND COUNTY CHILD KILLER? EDIE BRICKELL KICKS THE HECK OUT OF PAUL SIMON! OCEANS 11 RETRO FABULOUS FILMS! DETROIT VOICES SHORT FILM COMPETITION! THE JERSEY BOYS FILM PREMIERES JUNE 20,2014!! THE STANDELLS AT THE MAGIC BAG MAY 11TH! MARGARET DOLL ROD VINYL EP RELEASE PARTY MAY 10! LET MICKEY ROONEY REST IN PEACE! LA SHERIFF'S KILL TV PRODUCER BY MISTAKE! PEACHES GELDOLF DEATH RELATED TO DRUGS? LILY TOMLIN RETURNS TO ANN ARBOR MAINSTAGE! NIAGARA DETROIT: BABY DOLL LUNCH BOX! SHOULD THE LOVE LOCKS BE CUT DOWN? 10 THINGS TO GET READY FOR TURN PREMIERE ON AMC! Site Renderings on New Construction! Where is Jackie's Iconic Pink Suit? Visit RetroKimmer's profile on Pinterest. Hunky Men of the Wild West! GritFX Magazine - Movies, Music and Madness! Copyright ©2008-2018 RETROKIMMER.COM. Simple theme. Powered by Blogger.